If you are looking for a trustworthy real estate agency that can help you search and find properties for sale Pilar de la Horadada, Casas Espania is your answer. In our real estate sales company you can find multiple homes that will allow you to enjoy all the qualities you are looking for that you have a home. We have several styles and formats of properties in Pilar de la Horadada so you can buy the type of home you are looking for. 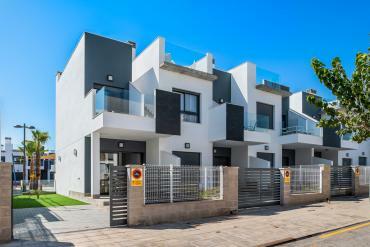 We offer resale properties and new construction properties in Pilar de la Horadada. As we said before, many of our homes contain several surprises so that you and your family can adapt easily and quickly to your new home. In this way, Casas Espania also wants to help you increase your well-being and your coexistence. If you are looking for a property in this area of the Costa Blanca South that has a beautiful and modern pool, our homes for sale in Pilar de la Horadada offers them. Many of our homes for sale contain pools for your smaller family members, to have fun without leaving houses. In many areas around the pool, there is a fabulous garden for you to relax reading or sunbathing, while your family enjoys the bathroom. 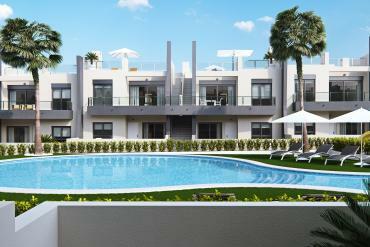 What other factors are you looking for in our properties for sale Pilar de la Horadada? If you want one of our properties for sale Pilar de la Horadada offer beautiful views of the sea, you can take a look at our website, and discover which homes offer such privilege. If you bet on one of our properties that are in a key point to enjoy sea views, you can also move quickly to the beach. Some of our homes offer the opportunity to buy a home overlooking the sea and also, is very close to it, to enjoy their maritime qualities.